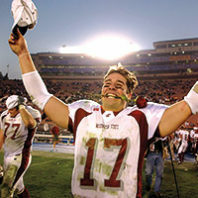 Ask Jason Gesser ’02 about the finest decision he’s made and his answer is as pinpoint as each of the 70 career touchdown passes he threw at Washington State. 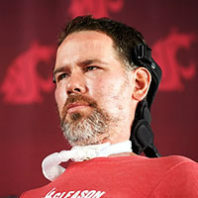 “Coming to Washington State was the perfect and best decision I made in my life,” he says. “Besides marrying my wife,” Gesser is quick to add, with a laugh. 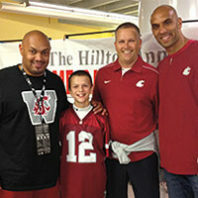 He married his college girlfriend Kali Surplus ’02, a former WSU volleyball player, and the couple has three children. 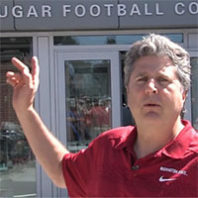 Washington State head football coach Mike Leach tours the Cougar Football Complex in May 2014. The tour’s leader, WSU Athletic Director Bill Moos ’73, laughs. 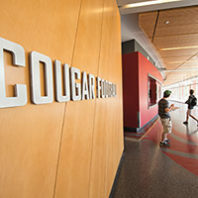 A huge image of a Cougar football player stretches from the bottom of the open staircase to the top level of the new building. The figure will be even more visible when it’s lit up at night, he says. Some students finish school and never take the time to look back. 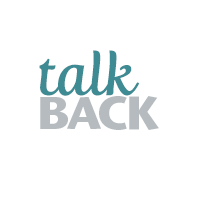 The same goes, perhaps even more so, for student athletes, who often return to their home states or get caught up in either pursuing pro careers or lives outside of sports. 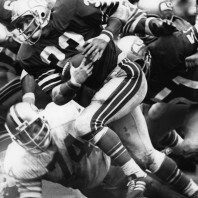 This year, though, one football player made a special effort to reconnect athletes whose names were once synonymous with WSU. 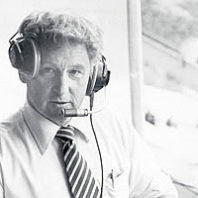 The idea of having control of his view of a sporting event struck Sankar “Jay” Jayaram in 2009 while he was watching a Seahawks game on TV and wishing he was in the stands. “I had never been to a Seahawks game and I wished I could put on a 3D headset and be in the stadium,” says the Washington State University mechanical engineering and computer science professor. 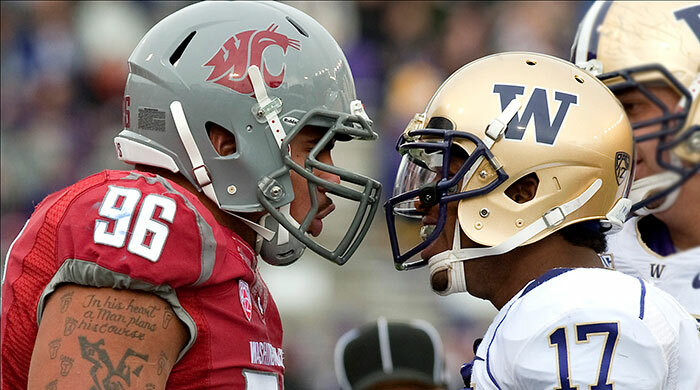 It was the biggest comeback in Apple Cup history. 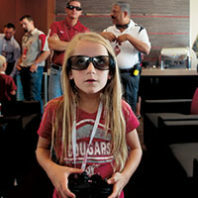 The Cougs were down by 18 points going into the fourth quarter last November. The team dug deep, persevered, and achieved a 31-28 victory in overtime, behind the running of senior Carl Winston III, and the play of every defensive and offensive WSU player on the field. Jubilant Cougar fans poured onto the field after the win to celebrate with Coach Mike Leach and the team. 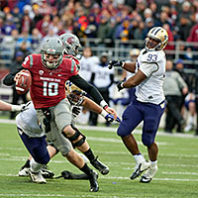 Read a full recap of the 2012 Apple Cup and see more photos at the WSU Athletics website.